Indians Baseball Club would like to invite all financial members to our Annual General Meeting. Indians Baseball Club is proud to be the host venue for the 2014 David Nilsson Little League State Titles from April 10th through 13th. Indians Baseball Club Home Run Derby! Indians Baseball Club would like to invite all members, and their families to our fields on February 16th from 2pm - 5pm to take part in a Home Run Derby event to celebrate the arrival of our four new pitching machines. 2013/14 hasn't been kind to either Redlands Rays or Indians, with both Majors teams struggling to find form. As it stands, both teams are sitting equal last, and the looming threat of relegation to the lower leagues for the 2014/15 season. Both teams would love to change course, and move away from this weekend with two wins, catapulting them out of last place and into a potential 6th place. Though more importantly two wins would secure the John Murray Cup! After traveling away for the Round 2 games against Surfers Paradise Baseball Club, our boys are back at home against the Redlands Rays. The Rays finished second in last years GBL Major League competition, and are sure to want to move one place higher this year. Our boys would be more than happy to stop them in their tracks. The club will be holding a scoring course for anyone who may be interested in scoring during the season. The session will be ran in our club house on Tuesday 17 September, from 4.30pm to 6pm. 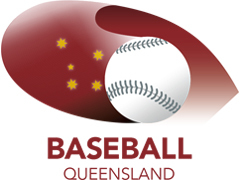 The 2013/14 Senior Baseball Season will kick off with all three of our Senior Teams playing against Western Districts Baseball Club (Bulldogs) on September 15 at Indians Baseball Club. This year the QBUA is offing an Umpiring Scholarship to one student, click the link to find out more. Accommodation at the Scout Camp is included along with lunch, morning and afternoon refreshment. Everyone that stays at the Scout Camp will be provided with a meal after the classroom session on Friday, and breakfast Saturday and Sunday mornings. BQI are generously offering to pay for one new umpire from each club, please get approval from your club before lodging your nomination form. Accommodation at the Scout Camp is functional but basic, so you will need to bring all your own bedding. The beds have only a mattress on them. Note: As we will be sharing a facility that is used predominately by young people, a suitable level of behaviour and professionalism will be demanded of those that “live in”. Address: Karingal Road, Mt Cotton. The combined level 3 and 4 workshop will be delivered on Saturday 24 August 2013 with Sunday 25 August 2013 being delivered if required (for info on the progress of the Sunday session please call Gareth Jones on 0404 820 703). Saturday will commence at 9am and finish at approximately 4pm. If Sunday is required we will commence at 9:30 am. Both the Saturday and Sunday (if required) will take place at Indians Baseball Club, Dew Street, Runcorn. On Field Senior Training for all senior players will be on Sunday, August 3rd at Indians Baseball Club from 8am until 10am. These sessions form part of the selection process for senior teams at Indians Baseball Club for the 2013/14 season. Players are expected to attending training in baseball pants and cleats, at a bare minimum. On-field training for all senior teams will become on Tuesday 30th of July from 6pm till 7pm. Please arrive by 5:45pm to be ready for a 6pm start. This weeks program will be broken up into two 45 minute sessions. The first session will be focusing on Sprint Mechanics and the second session will be Hitting. Please ensure that the kids bring their bats along with them to the session. The Summer Pre-season training / selection for the 25 man Major & AAA squad continues on Tuesday the 23rd of July at from 7pm - 8pm at the Gould Adams Park Aquatic Centre located at 558 Kingston Road, Kingston. All Senior players, along with Juniors from 17 and up are eligible for selection. Please ensure that you bring at least $5 for pool entry and a bottle of water. Expect these sessions to be hard! Summer Pre-season training / selection for the 25 man Major & AAA squad continues on Saturday July 20th from 7a. at the Gould Adams Park Aquatic Centre located at 558 Kingston Road, Kingston. Attendance is compulsory for any player wishing to be considered for the Major & AAA squad. Summer Pre-season training / selection for the 25 man Major & AAA squad. All Senior players, along with Juniors from 17 and up are eligble for selection. Pre-season runs for at least 8 weeks, starting with pool sessions at the Gould Adams Park Aquatic Centre located at 558 Kingston Road, Kingston.